Bingara is on Australia’s History Trail in North Western NSW and was a pastoral settlement that commenced in about 1830, it was not until the discovery of Gold in 1853 that the communities of Bingara and Upper Bingara began to take shape. Rapid growth occurred in the 1880’s with the further discovery of copper and diamonds. In the early 1900’s the town boasted a number of hotels and general stores along with numerous other retailers in the bustling Main Street. 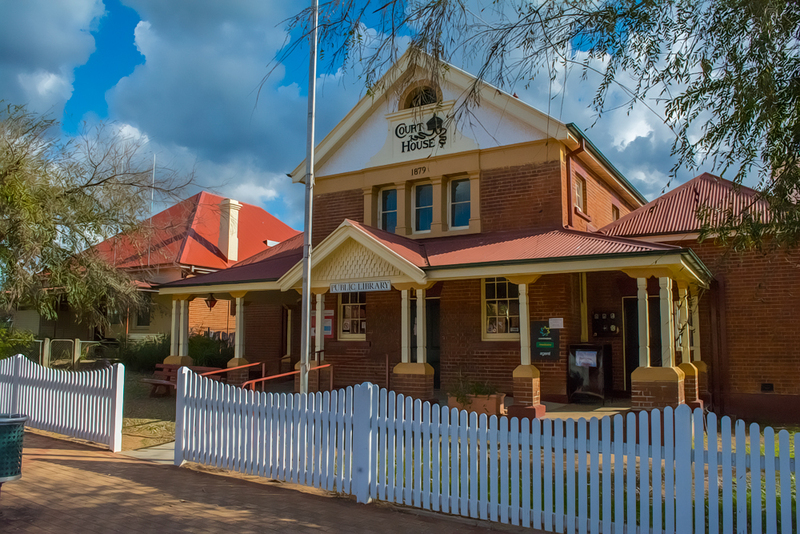 By the 1930’s the town had reduced in size to what you see today… the street scape and historic buildings have been well preserved which makes Bingara and the surrounding rural landscape a great place to visit with a camera. The old Roxy theatre complex provides a testament to the big dreams and prosperity of residents early in the last century. Its a great place for a coffee on Australia’s History Trail. The Roxy Theatre and Greek Cafe´ Bingara has been beautifully restored to it’s former glory. “Diamonds were first discovered near Bingera in 1873. The fields east and west of the town were worked sporadically until 1909 and yielded in excess of 200,000 carats (around 40 kilograms) of diamonds during this time. During the 1890s Bingera laid claim to being the Australia’s diamond mining capital, though the stones were mainly small and of industrial quality only. The mining success translated the growth of the town, which in 1891 had a population of 738. In 1872 the first Catholic Church was erected, followed by an Anglican Church three years later. A second Church of England was built in 1889, St Andrews Presbyterian (now Uniting) Church was erected in 1904 and in 1907 St Mary’s Catholic Church was constructed.